This motor is newer to the market, and has not had as much publicity as the BBS series. The main difference, is that the BBS series assist works with 'speed sensing', or merely relies on a sensor that is tripped by a series of magnets that spin around when you pedal. HOWEVER, the TSDZ series motors are activated by a 'smart, dual sided torque sensing mechanism', which also has multiple assist levels. This makes for a true 'SUPERHUMAN FEEL', because the torque sensor can tell how hard you are pushing, and signals through the controller to the motor to provide corresponding level of assist! This is a GREAT feeling, and usually only available on much higher end ebikes. The only problem with most higher end mid-drive torque assist ebikes, is that they are not usually over 350w, or 500w max. - UNTIL NOW! Unlike some competitor models, our units are TRUE 750w 18a, the most powerful on the market available for this unit. We also have special speed sensors, which are more robust, and include a split 'Y' adapter, to hook up a headlight, and taillight, which you can control from the display/cockpit! Also, our VLDC-5 unit comes fully loaded with throttle, and e-brakes. The VLDC-5 display also has a usb port, to charge your mobile device! 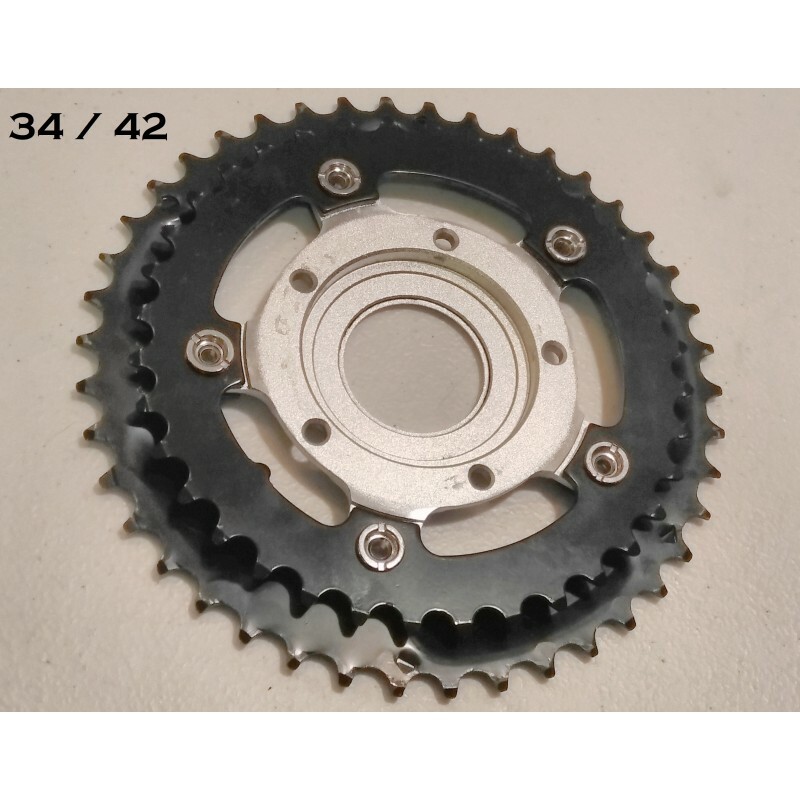 Double Chainring (34/42, or 42/52) to upgrade from the 'stock' Single 42T w/ Cover. 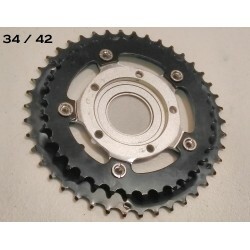 Single 34,42, or 52 chain rings are available as well. 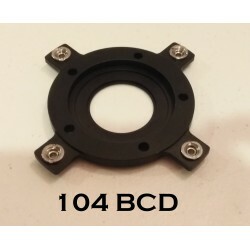 104 BCD, and 130 BCD Adapters. 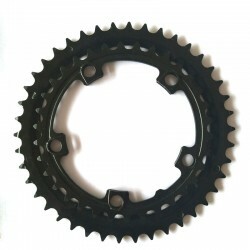 These can mount a chainring on both sides, as with the 'stock' TSDZ2 adapter, to make a 'dual chainring. 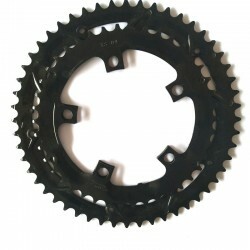 However, you will have to provide your own chainrings for these adapters. 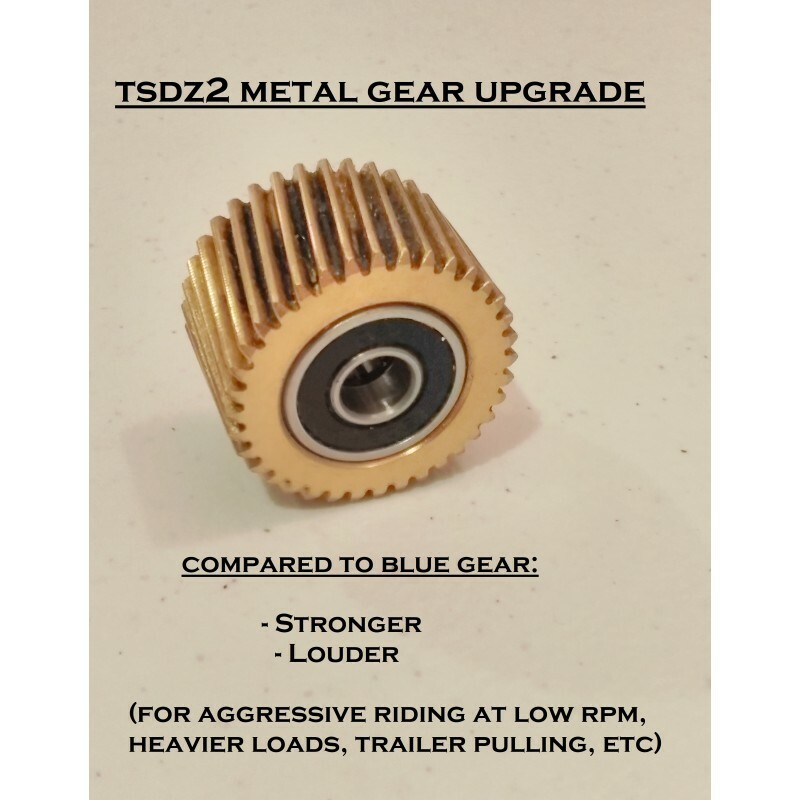 Metal Gear (stronger, but louder) to upgrade from the 'stock' Blue Plastic (see our other listings) if you ride aggressively in low rpms, hilly areas, or haul a trailer or heavy load. High efficiency torque sensing mid drive, utilizes the drivetrain gearing, for lower battery power consumption. Push motor BB axle into BB tube,the exxposed axle length on left side is 11mm(Put securing plate onto BB axle, Put 2 washers between motor and securing plate,Tighten the securing plate and the motor with two m5*6 screws). Screw the M33.5 nut onto the BB axle,do not tighten the nut. 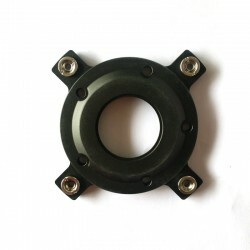 Install the fixing block onto the motor with m8*40 bolt, do not tighten,Using a m8*45 bolt and the hang-plate to tighten the fixing block and motor. 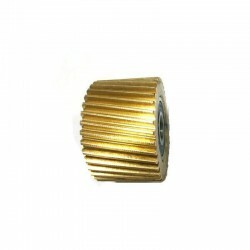 Tighten the bolt with 40nm torque force,tighten with affiliated wrench by over 40n.m torqure. Using m8*14 bolts to install the arm-cranks.the locking torque is over 40n.m. 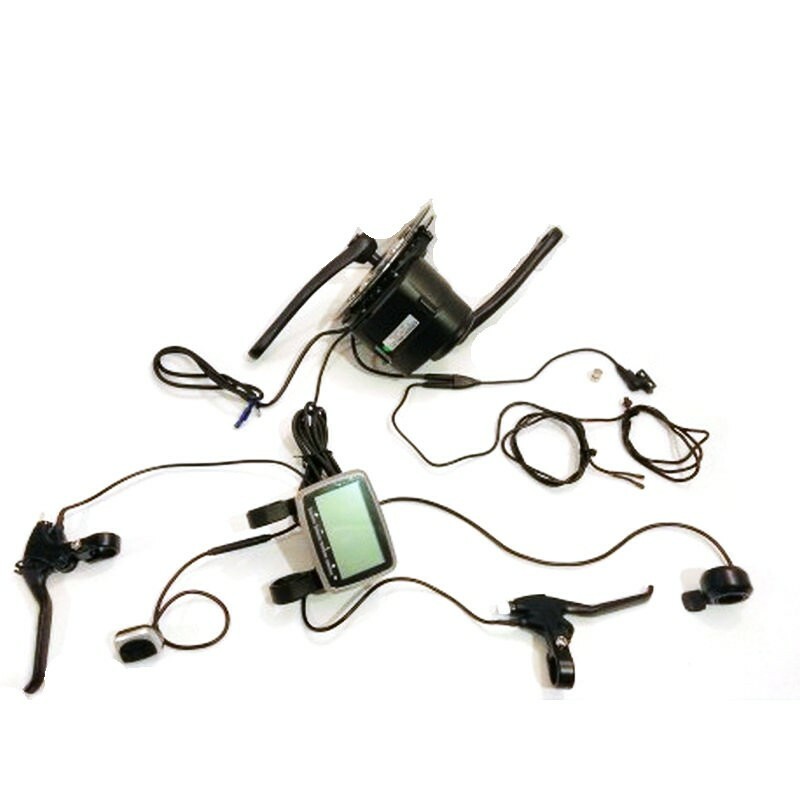 HOW DO I KNOW IF THE MID DRIVE CONVERSION KITS WILL FIT MY BIKE, AND WORK WITH MY BATTERY? BICYCLE COMPATIBILITY: The Mid Drive Kits are designed to fit bikes with a 68mm (2.68 in.) to 73mm (2.87 in.) 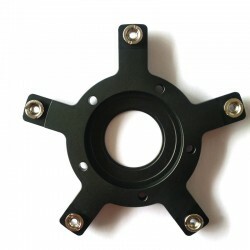 wide bottom bracket shell and 35mm inside diameter. This encompasses the vast majority of bikes excluding some newer high end bikes with an Integrated Bottom Bracket. More than 95% of bikes with the correct measurement BB fit this without a problem. The only real problem we have ran into, is chain line issues, which is common for electric conversions, but with a dual chain ring, you can usually shift the front accordingly, to at least mostly eliminate any alignment issues when riding. The chain line on this is actually better than the BBS units in our experience, and we have all the adapters for any modification. 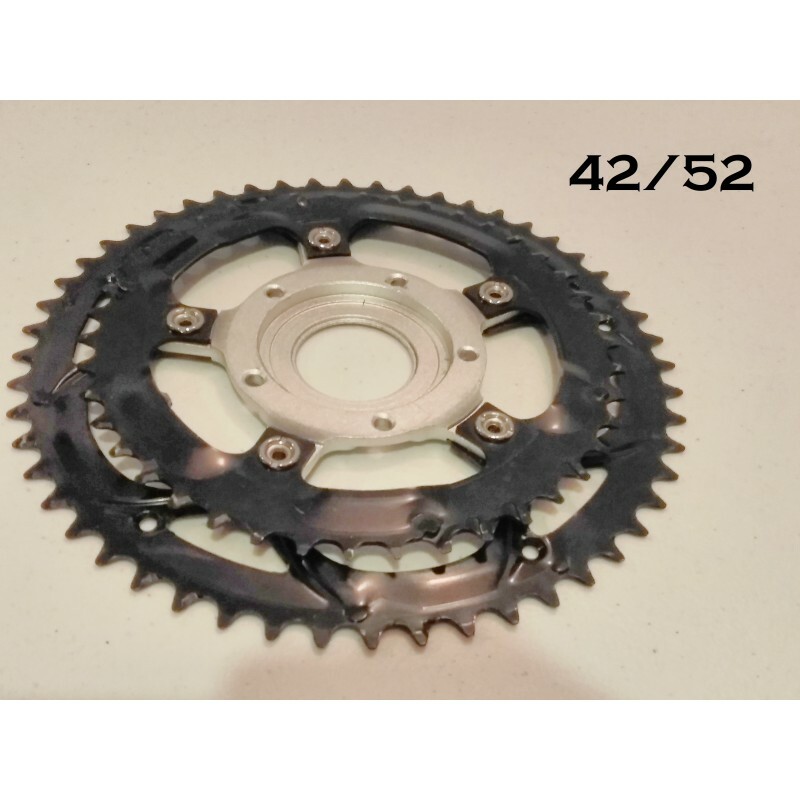 The only real problem we have ran into, is chain line issues, which is common for electric conversions, but with a dual chain ring, you can usually shift the front accordingly, to at least mostly eliminate any alignment issues when riding. 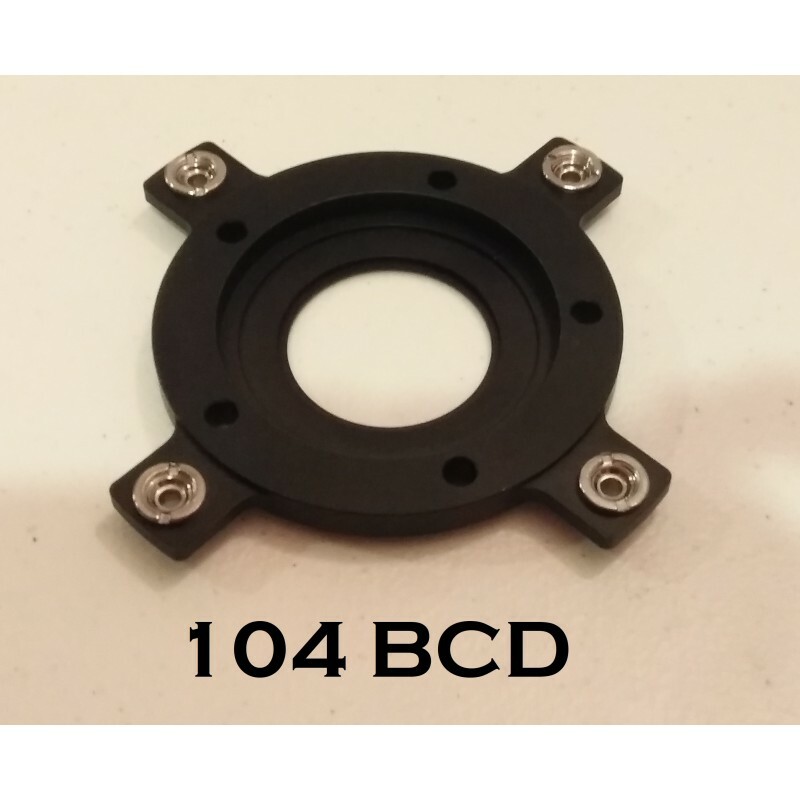 The chain line on this is actually better than the BBS units in our experience, and we have all the adapters for any modification! *note - we want to mention, that when choosing a chain ring (otherwise we send stock 42T), you should take into consideration that the assist on this unit, operates on a torque sensor. Usually I would not recommend a 52T, but that is what I find myself using (make sure your bike has clearance, or get the dual and put it on the outside)... First one I got myself, was 34T, and I found this to be too small, to fully take advantage of the motors torque sensing capability... You need to be able to have more resistance from a larger front ring, to experience the full power of the 750w model, in my opinion! Just for consideration. 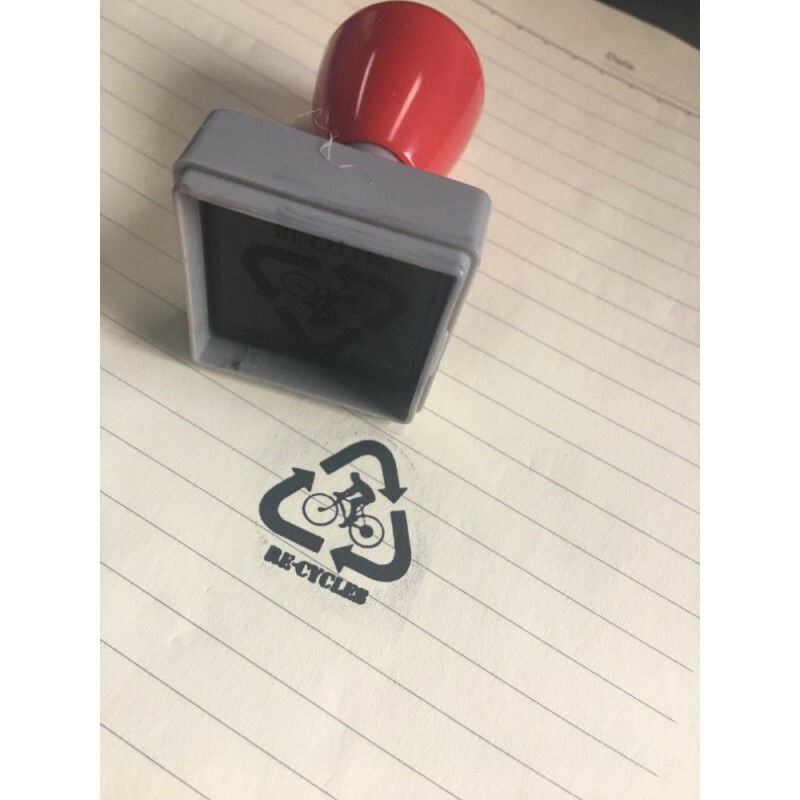 We here at ReCycles have done extensive work and research on these units, and offer an exclusive custom made model, more powerful, and with features and optional upgrades unavailable anywhere else. 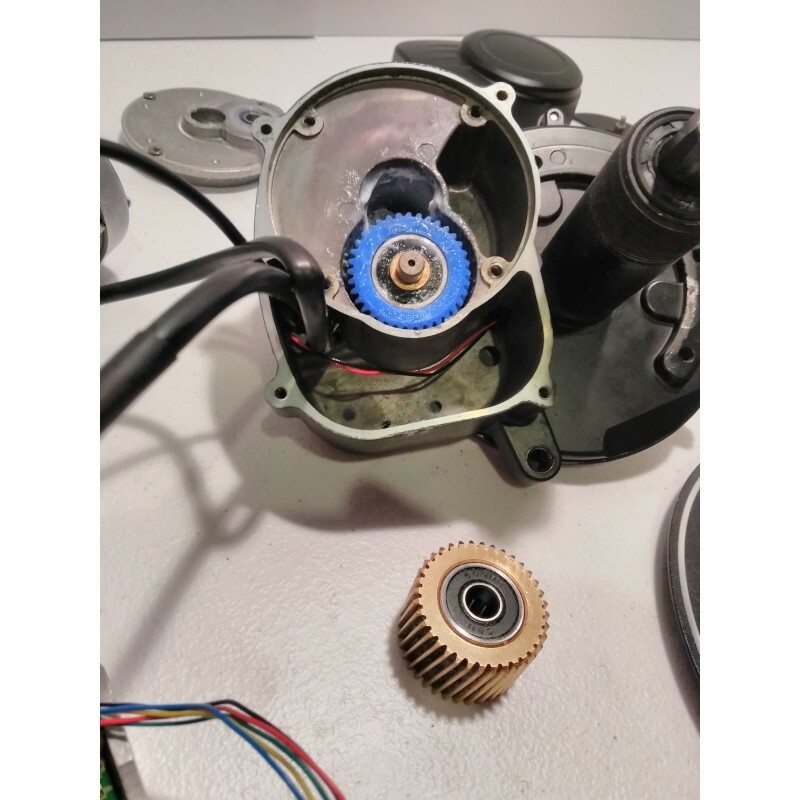 Remember, we love this stuff ourselves, and although we usually are into 'higher power EV'... we LOVE the torque sensing on these units, and the feeling of 'super-pedaling' that you simply cannot get on any ebike system that does not have a quality torque sensor. This one sensing torque on BOTH sides, and is quite smooth. We offer supreme support for these units, stocking replacement supplies, and offering extensive expertise in repair/service. 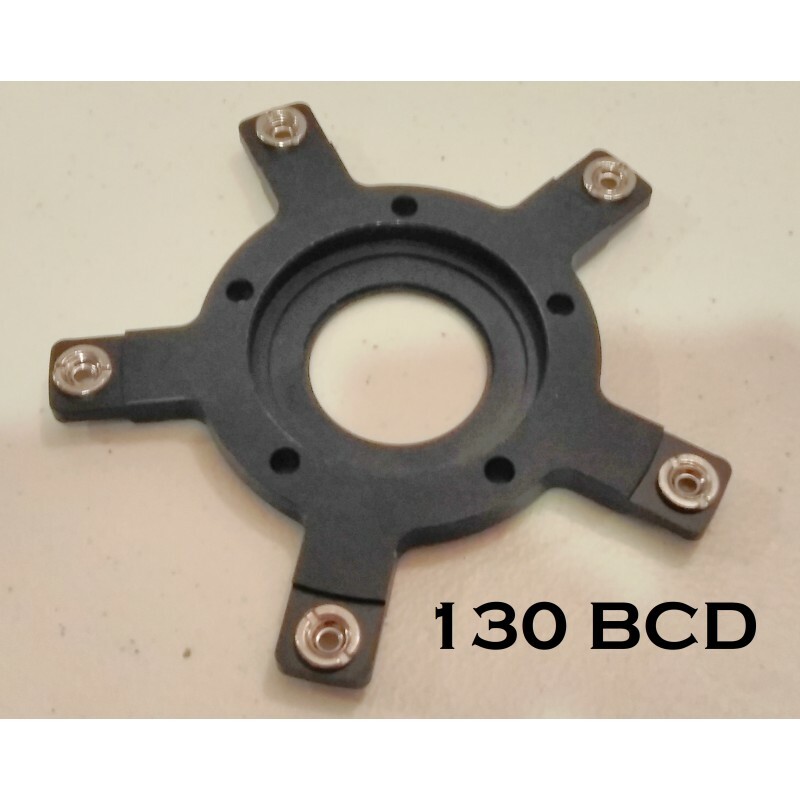 Also, these little things are light, and easy to remove/re-install if you ever need to take one off, or even send one in for maintenance, it is not that big of an issue, compared to say, a heavy hub motor in a whole wheel. There is a lot of 'iffy' info out on the TSDZ2 around the internet. We have done THOROUGH testing ourselves, and have been in touch directly with the manufacturer to get to the bottom of it. 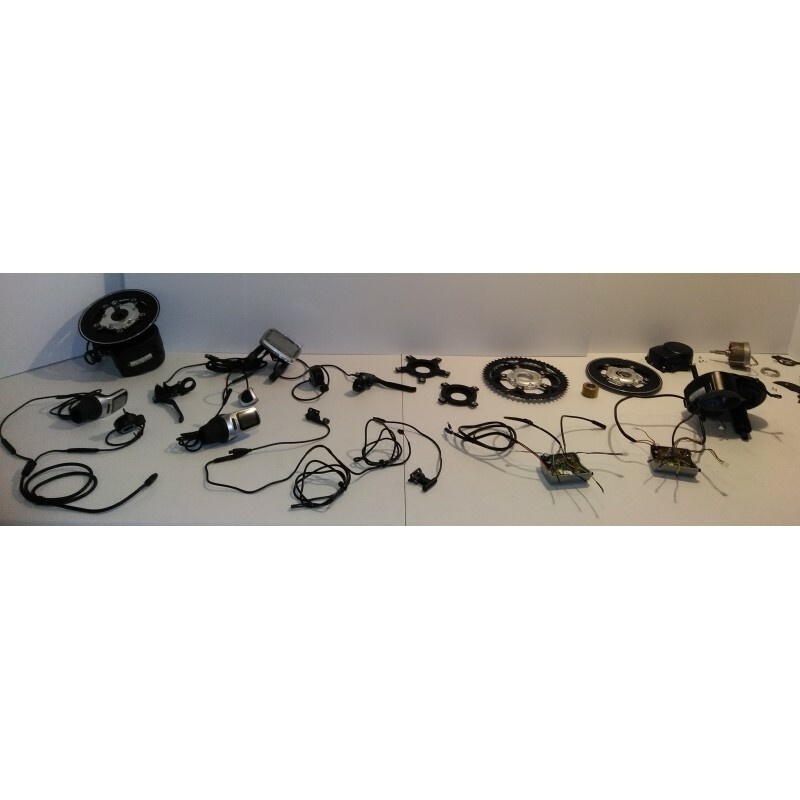 We have software programming capabilities for the controller itself, not just hardware repair/replacement capabilities. There is an ongoing 'thread' on a very informative forum 'endless-sphere' which you could go to for information. Of course, I would be happy to answer any questions as well!